NTR Jr’s latest drama Jai Lava Kusa is something of a Pandora’s box. The moment you open it, everything that its lead actor does, is bound to take you by surprise. But more importantly, Jai Lava Kusa will go down in NTR Jr’s career as the film which forced him to tap into a reservoir of talent that runs quite deep, so to speak. Most Telugu films are designed to suit an actor’s image, and that’s pretty much been the status quo for a while now; however, NTR Jr takes this a step further in Jai Lava Kusa. He becomes the story. His performance is the whole point of the film. It’s like a brilliant showreel where we are expected to marvel at his versatility and full props to NTR Jr and the team for doing this convincingly, but the world of Jai Lava Kusa feels as if the characters are living in a stage play rather than in the normal world. However, that’s the trade off to get what the film tries to deliver in the end. To put it in perspective, NTR Jr outshines the film itself. The film narrates the story of three identical siblings — Jai, Lava, and Kusa. The trio is part of a drama troupe handled by their uncle; however, Jai’s stammering problem plays spoilsport. He burns with rage and lack of recognition from his own brothers, and this leads to some terrible consequences. The rest of the story is about what happens when destiny brings them together once again, 20 years later. Among the three, Kusa grows up to become a street-smart thief, who wants to immigrate to the US; Lava is the kind-hearted soul who works as a bank manager; and Jai grows up idolising Ravana. Right from the beginning of the film, it’s evident that the focus is on the variations which NTR Jr brings to the table to each of these roles. The roles of Lava and Kusa could have been performed by any other actor, but the fact that NTR Jr does all three makes it special. In one scene, as Kusa, he’s bursting with energy, and a moment later, we begin to instantly sympathise with Lava, whose honesty and straight-forward nature often land him in trouble. But the most intense and complex stuff is left for NTR Jr as Jai, whose presence makes all the difference to the film. He stutters in the middle of his lines, but that doesn’t take away the intensity in his performance; he breaks down when he comes face to face with his past; he makes evil look stunning. NTR Jr is one of the finest actors in contemporary Telugu cinema. Period. The first half of the film is characterised by a steady flow of scenes which don’t quite engage beyond a certain point, but the tone changes drastically when the conflict between the three characters is established. We are treated with a heavy dose of melodrama, and some superb acting from the film’s lead actor, aided by a fine background score. And the more you absorb the emotional undertones of the story, the more fulfilling is the experience. The film also drives home the point that it’s important to teach kids the difference between right and wrong, good and bad. There’s no denying that the intent behind making this film is great, but the story isn’t quite inspiring enough. 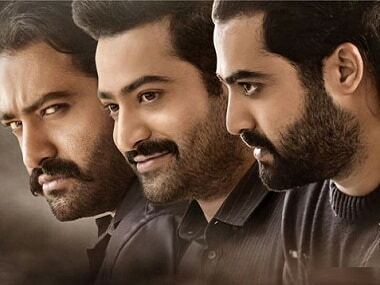 Somewhere towards the end of Jai Lava Kusa, we are forced to make a choice — what’s more important to you: To watch an actor convincingly pulling off his role (triple roles in this case) or to soak in all the elements that the story offers us? What makes a film ‘good’? Jai Lava Kusa treats its lead character as a far greater asset than the environment around him. The three characters pop out from the pages of the script and as they try to figure out how to bury the hatchet, everything around them is either sidelined or denied a chance to say something. They just exist to populate the frame. 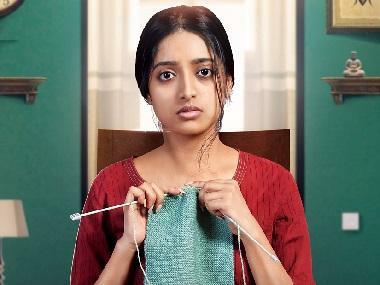 Thus, a story whose core essence is explained in three scenes turns into a 158-minute-long drama to justify the journey. There are, in fact, three reasons to watch the film: NTR, NTR, NTR. Perhaps there’s no other film in recent times which celebrates an actor to this extent, and it expects us to do the same. Because beyond this, nothing else seems to matter.